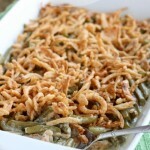 Turkey Gravy - Dessert Now, Dinner Later! 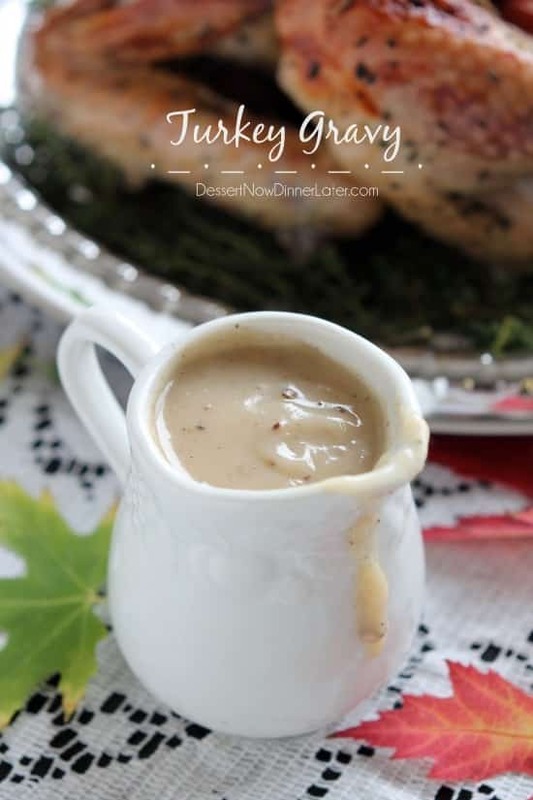 A lot of people are unsure of how to make gravy from the turkey drippings. Well, this post is going to address that. You absolutely want to use that fresh, turkey juice for your gravy! Honestly, you don’t want to go overboard with the gravy or any of the side dishes for that matter. Everything should be seasoned well, and stand out on their own, but not be so over the top seasoned that they distract from the other dishes being served. Whenever you use the juices from a turkey, you want to strain out any bits and pieces from the turkey and let the stock rest until the fat rises to the top. Then you can spoon the fat off and use the juices for your gravy. Easy, right?! 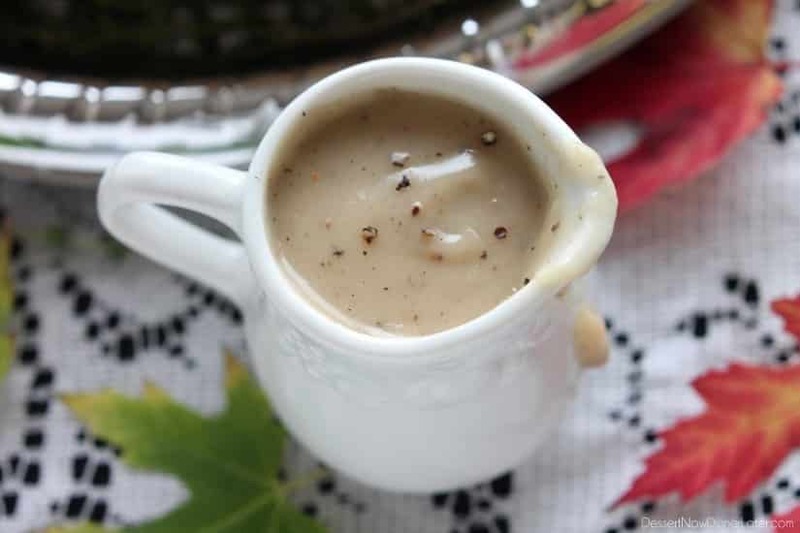 This turkey gravy uses those drippings from your turkey, with additional stock if you need it, a simple roux, and is seasoned with salt and pepper. (There’s also a gluten-free variation in the notes.) Nothing fancy, but those turkey flavors make the gravy what it is, and the butter in the roux, makes it rich and delicious! This is Thanksgiving after all, once a year you can splurge a little bit and really enjoy your food! 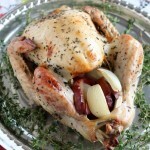 Strain turkey drippings and allow to rest so the fat rises to the top. Spoon fat layer from the top and discard. Add turkey stock or broth, if needed to have 4 cups of liquid. Melt butter in a saucepan. Add flour and whisk to form a roux. Cook for 1 minute until nutty and fragrant. Slowly whisk in the turkey juices, whisking constantly until gravy thickens. Season with salt and pepper to taste. Gluten-Free Version: Make a cornstarch slurry, by combining 4 Tbsp of cornstarch and 4 Tbsp of COLD water. Set aside. Heat 4 cups of turkey juices/broth in a saucepan until boiling. Add slurry, whisking constantly. Simmer, and whisk until thickened. Season to taste with salt and pepper. 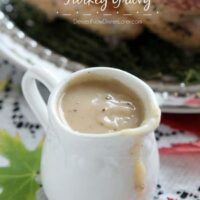 This gravy is buttery and smooth and full of natural turkey flavors! We loved it! Let me know if you try it! I’m in love with how easy your recipe is. The turkey drippings give the gravy so much flavor. I want smother it on everything! It’s so true, the natural flavors are wonderful, so it’s nice to just let them stand out in the gravy. Thanks Jen! Oh boy, I am a sucker for turkey gravy and yours looks just perfect! 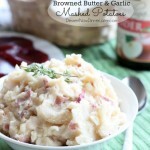 Love how easy the recipe is too! There’s just something about a good gravy that makes the whole meal come together! This looks delightful! 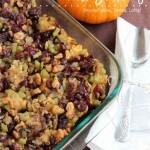 It’s true, you can’t leave it out, it’s a must for Thanksgiving!